Research has shown that women in history are nonexistent to elementary age boys and represent just a glimmer in the minds of girls. So, it’s an awesome thing when historic site interpreters and managers continue to evaluate and question the message they give to visitors about the people who inhabited their site. Because of their efforts, we have a better picture of how women and men lived in the past. Victoria Love, Site Administrator of First Missouri State Capitol State Historic Site in St. Charles answered the following questions about changes in the interpretation at her site. Tell us a little about the history of the site with regards to the Peck brothers – who they are and what they did in St. Charles. What does the site preserve and interpret in general? First Missouri State Capitol State Historic Site is the first seat of the state’s government. Its’ rough hewn timbers and dark wood floors whisper the tales of the state’s first legislature. Interpretive programs help visitors understand how the state’s government was formed and what life was like in the early 1800s in St. Charles, Missouri. The buildings used for the First State Capitol were owned by Charles and Ruluff Peck and were offered as free to the newly formed State of Missouri if they located the temporary capital in St. Charles. 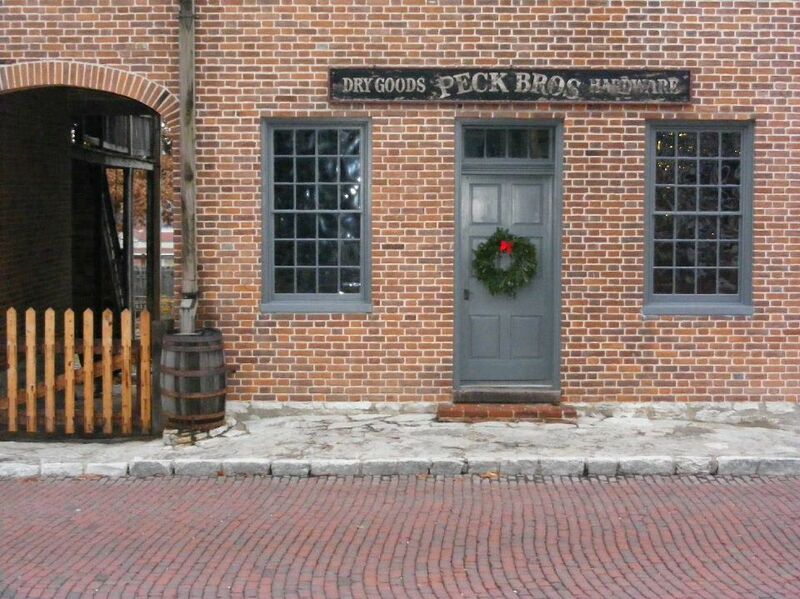 The site has a residence and a mercantile exhibit that interprets the Peck’s roles here. I remember being at the site previously and hearing they were bachelors. Did something specific prompt your research into the women in their life or did it occur organically? I am always looking for the answer, “Where are the women?” (I have two books published based on this question.) Often they are missed. This time it was pretty shocking. The Peck Brothers were interpreted as bachelors, when in fact, Ruluff was married in 1820, lived in the residence with his family until his death in 1827. He had a wife, three children and a rented slave that lived in this one room apartment. I started with looking at the Peck’s history in Ancestry.com, our files and the local historical society and found that there was a piece missing. What did your research uncover about women at the site? I was very pleased to find a good basic history of Ruluff’s wife, Adeline. She was a doctor’s daughter and from an old puritan family in Connecticut. Her sister, Jane, married three of the most influential men in early 19th century St. Louis. More importantly, Adeline and Ruluff had a daughter, who it is suspected, if not completely confirmed, was developmentally disabled. Her life path is very clear with documentation including census and burial records. And lastly, the 8 year old slave who was rented, needs to be looked at more. We have found her broker and hope to get her name and maybe more history verified in the near future. Another future research project will be looking at the wives of the governors to see what their role was especially Mr. McNair’s wife. How has the way your interpreters tell the story of the site changed? They have been able to give a more balanced view of early St. Charles. Introducing the woman’s role in pioneer/frontier Missouri is paramount and we are lucky to have good documented women to interpret. We still have work to do; our website has not been updated to reflect changes which requires approval. What do you hope visitors will go away with about the experiences of women in St. Charles? We hope that people walk away always asking the question, “Where are the women?” as well as other underrepresented groups in traditional interpretation. The whole story is there, even if the groups are absent from the history and everyone deserves to have their story told. Greta- this is perhaps my favorite of your entries. It is so poowerful. And hopefully the tip of the iceburg. More please!